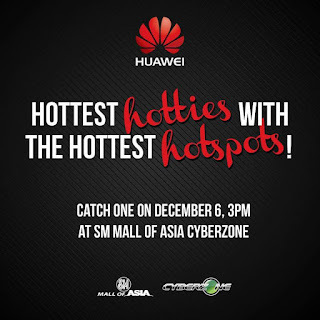 Upon heading to SM Mall of Asia there's quite a crowd already. 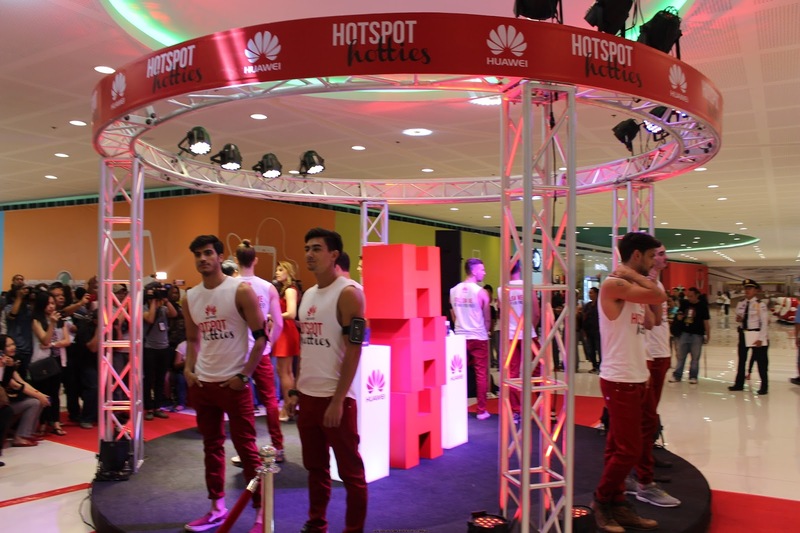 And still I dont know what I'm up to :P also I'm still wondering what could #HuaweiHotspotHotties is all about. I've noticed people were lining up for something and lookie-look!... 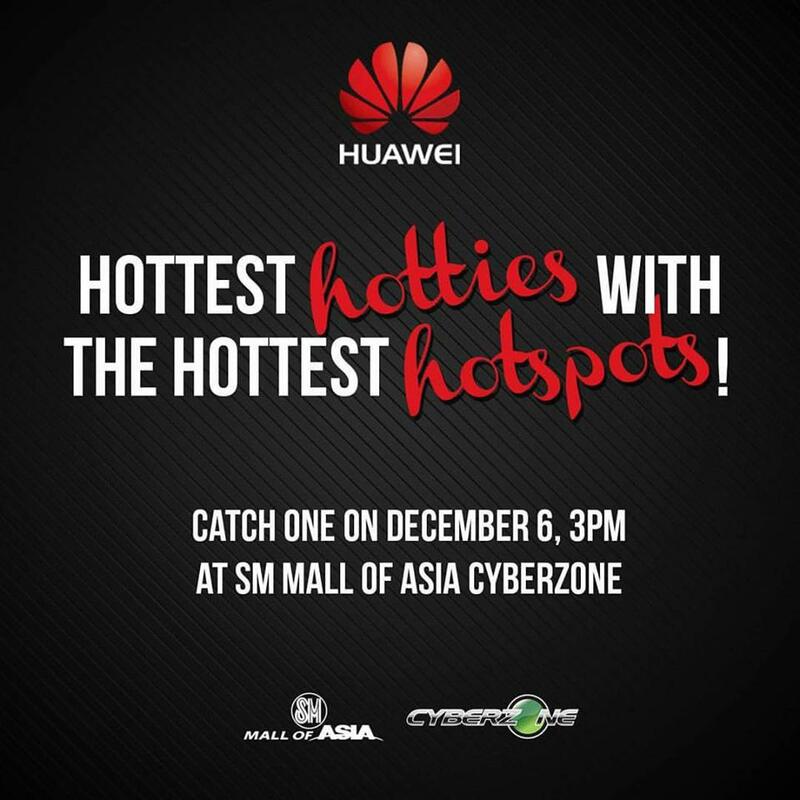 It is definetly the HOTTIES I had in mind woohoooo! People started taking photos and selfies with a this pack of gorgeous men in red pants and white top. 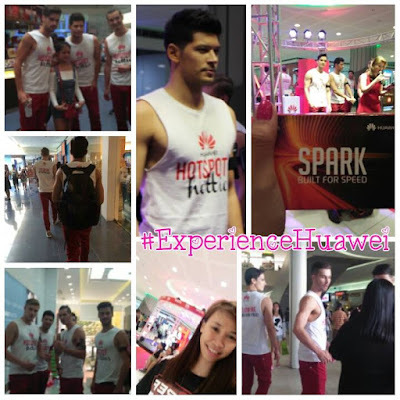 BTW the shirt says "Follow me, Get WIFI for free" Later the day these men was actually a party of the #HuaweiHotspotHotties pala, Consists of foreign models that led shoppers to the Cyberzone event center where Huawei exhibited their latest line of pocket WiFi devices via a mini fashion show. 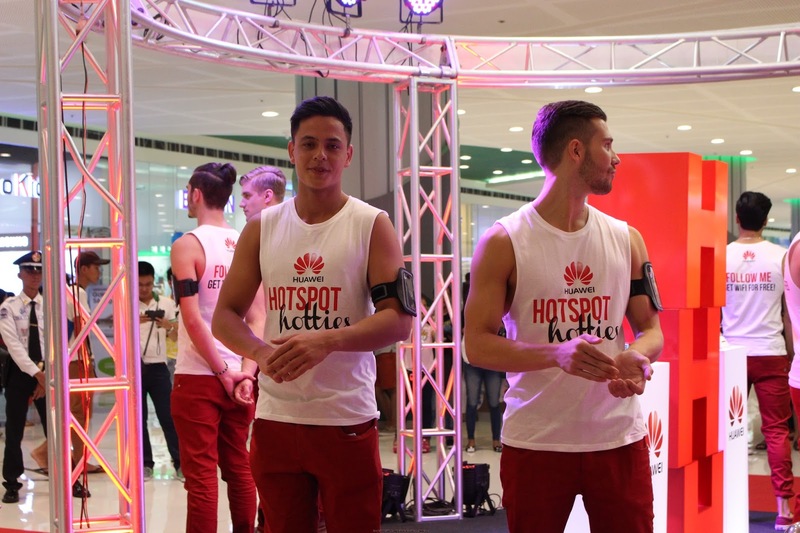 With the continued growth and increase in the number of mobile devices being used to access the internet, Filipinos have developed this “always on” mentality or that need to be always connected. 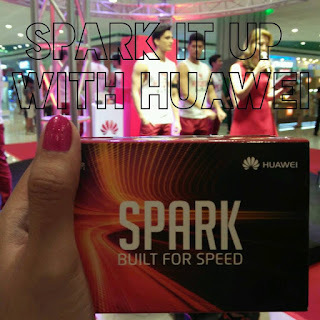 -Jose Vega, Sales and Marketing Director, Huawei Device Philippines. “One of the first things people ask about as soon as they arrive at their destination-- whether its a hotel, a restaurant or even at a friend’s house is for the Wi-Fi password, but since not all venues could handle the number of people connecting to their routers, internet connection can be very slow-- that is if you can even connect in the first place. That is why having your own Pocket WiFi device remains the best and most convenient solution especially if you are travelling with your family or friends and need to connect several devices at a time,” he added. The Flash is powered by a 1500mAH battery, which can last to up to 5 hours of WiFi usage and up to 300 hours in standby mode. Install the Huawei Mobile WiFi App 3.0, the Flash lets you quickly and easily "share" photos, apps between mobile phones accessed to the same Mobile WiFi. True to its name, the Lightning supports fast LTE CAT4 connections of up to 150Mbps. This WiFi router is best for SME requirements as it can deliver maximum speeds of LTE CAT4 150Mbps through its Gigabit Ethernet port. 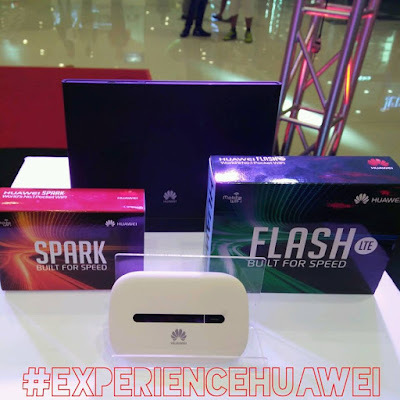 The Huawei Flash, Huawei Spark and Huawei Lightning take full advantage of Huawei’s mobile broadband network compatibility to deliver fast and uninterrupted internet connectivity on-the-go. 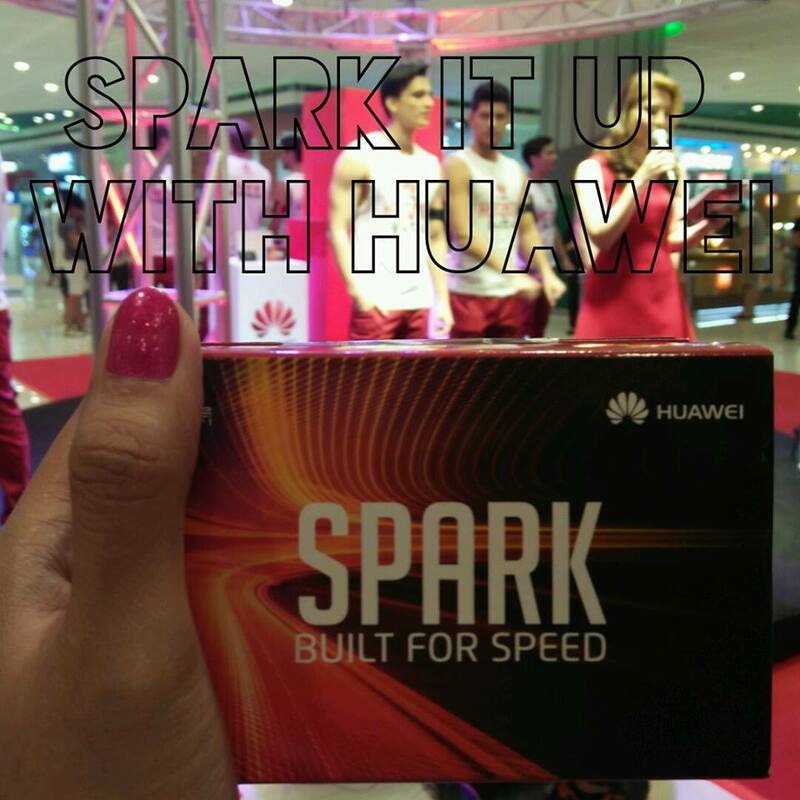 Get you very own Huawei Pocket Wifi, Now available at HUAWEI Stores!